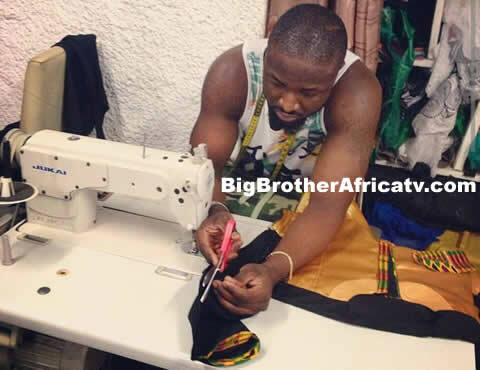 Big Brother Africa 2019 | Season 10 Housemates, News, Contestants, Live Stream, Polls, Nominations: Elikem Kumordzi Puts It Right - "I'm Not Ashamed To Be Called A Tailor"
Elikem Kumordzi Puts It Right - "I'm Not Ashamed To Be Called A Tailor"
In today’s modern day, many would prefer to be called designers rather than Tailors. This is due to the fact that, the later name is seen as archaic but for actor Elikem Kumordzi, the story is different. “Honestly I see nothing wrong being referred to as a tailor. I am proud of it. There are people who have issues with that name but I actually enjoy it. “Though I have people who help me in my line of work, I do sit behind the machine to sew and I design as well,” he said in an interview with Nana Ama Mcbrown on Aben Show on UTV. Elikem Kumordzie is best known for representing Ghana in the 2013 Big Brother Africa reality show and he got married to Pokello Nare in 2015 in Zimbabwe. The two were housemates during the 2013 BBA reality TV series. The marriage came after Elikem had proposed to Pokello in 2014.